We've been waiting SOOOOO long, all winter in fact for the first goslings. They're here and they're cute. 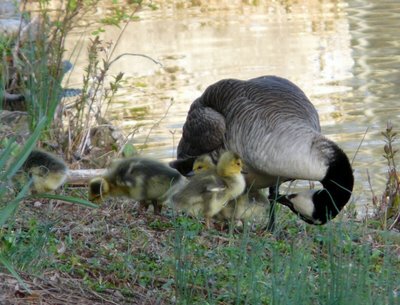 A short video is at http://www.new-jersey-birds.com/Goslings.mov.